Maybe you’re in marketing or finance or accounting and don’t think you have responsibility for diversity and inclusion within your workplace. Not so, said Wanda Wallace, PhD. 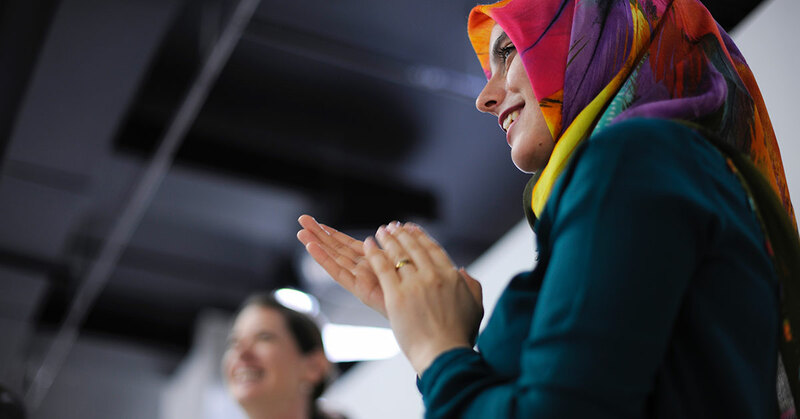 while presenting February’s Women Lead webinar, “Creating an Inclusive Culture – Why Everyone Must Play a Role.” Dr. Wallace believes that “everyone has a part to play in creating a more inclusive culture,” whether you manage a team or not. What is diversity? What is inclusivity? First, it is essential to understand the difference between diversity and inclusivity. “Diversity is really important, but it is fundamentally an accounting exercise to make sure there are enough people in the right categories and right positions,” Dr. Wallace explained. Inclusivity, on the other hand, is “fundamentally about the culture; it is what the people who are not part of the dominant coalition feel and what they believe is true,” she said. “Dominant coalition” is a fancy term for a demographic pattern that predominates within an organizational culture: for example, gender, ethnicity, and/or nationality. To be able to raise objections. In short, they want to feel part of the team without sacrificing who they are or changing themselves. Why should we care about inclusivity? Demand for talent: There is an increasing demand to find top talent, which means companies will be seeking talent from diverse populations. When challenged by a team member, pause instead of getting defensive. Respect all opinions, and acknowledge them even if you don’t agree. Get to know your team. Highly-rated managers take time to make sure they understand each person on the team as unique individuals. Give everyone equal opportunities. Spread out the coveted opportunities rather than giving it to the people you know best. Help diverse team members find resources to navigate the organization. Look beyond the expected when recruiting. Fashion designer Ralph Lauren once found a key employee when she was working at a restaurant. Give feedback – good or bad. To be a leader, you have to be willing to constantly grow and change. Balance your qualities that “fit” inside a culture with the things that make you unique. Accommodate others – this does not mean changing your personality, but consider your colleagues’ styles when approaching them for collaboration. Develop yourself and your career. Take control and ask for guidance. Avoid isolation. Jump into projects, organize an event, and find ways to engage. Every time you go to an event, seek out people who are different than you. Cultivate trust and make it easy for people to get to know you. Getting to know people increases trust, and we all need allies. Experience the full benefit of Dr. Wanda Wallace’s presentation by watching the webinar today. A full library of previous Forté webinars are available to Premium Access Pass members. 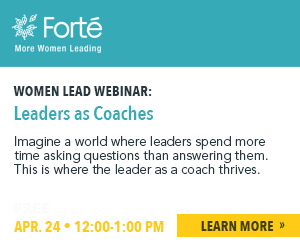 For $50/year, Access Pass members receive exclusive invitations to Women Lead webinars. If your company is a Forté sponsor you may be entitled to free access pass. Check our sponsor page to see if your organization is a partner. Access Pass members also have exclusive use of the Forté Job Center; you can browse positions and post your resumé to be seen by leading companies seeking top talent.